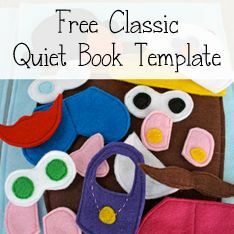 I am SO excited to share today's quiet book with you. 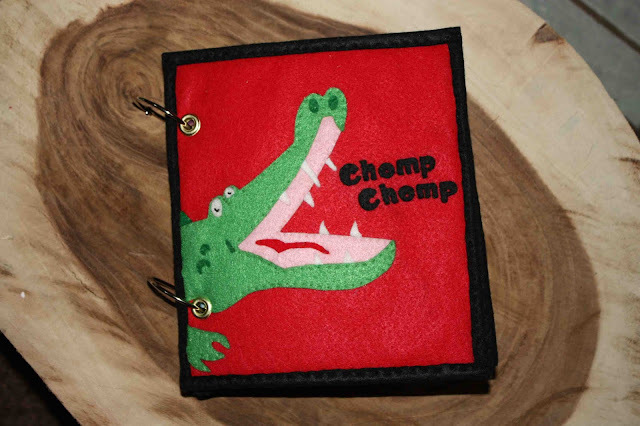 It was made by Lorrie, who clearly has a lot of talent and took a lot of care in making it. She has a wide variety of quiet book pages including a dress-up page, a baking page (with an oven, oven mitt, and cupcakes), a chef page with spaghetti noodle, a pie page with a weavable top, a fruit and vegetable puzzle page, a laundry / washing machine page with matchable socks, a clock page with moveable hands, an ice cream page, a monkey with a banana page, an ocean/underwater page with fish and a whale, a giraffe page with a beaded neck, a peekaboo page with hidden mirror, a caterpillar page with velcro spots, a flower quiet book page, an apple tree quiet book page, a barn quiet book page with farm animal finger puppets, a garden quiet book page, and a mailbox quiet book page. In short, it's huge and awesome! Check it out! My name is Lorrie and one word to describe me would be "Lucky." 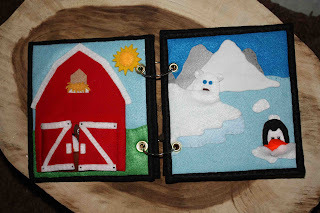 I made the book for my sweet little Sabrina "Bean" and she is 3 years old. I would say I'm an expert seamstress, because I'vd been sewing since I was 11 and am now 50! This book took me over a month to complete. I would say about 100 hours in total. I searched the internet and Pinterest for a few months until I found the pages I wanted to make and then I roughed out my sketches and then refined the pattern pages. 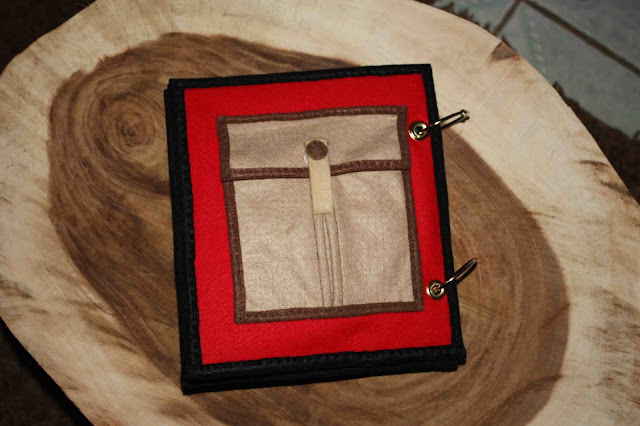 I set three grommets in each page and am waiting for the rings to arrive to complete the binding. The base page is cotton with fusible fleece backing. 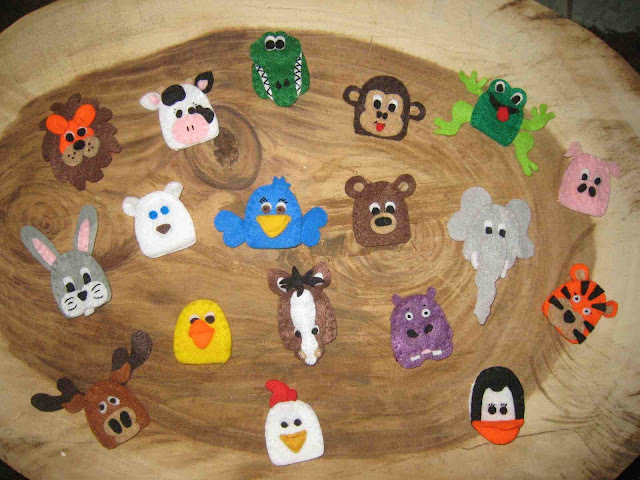 I used felt for almost all of the designs. This book was a bit pricey and I'm kind of feeling guilty that I spent almost $200.00 on it, but the smile on her sweet face and the kisses and hugs she gives her old Nana are worth every penny spent. I have to say I love them all so it is hard to pick just one. I guess it would have to be the Peek-a- Boo page because I love watching her find herself in the mirror and make funny faces. 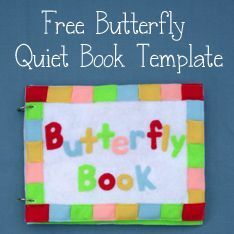 I really love this quiet book and I am so happy Lorrie shared it with us. Thank you, Lorrie! Today's quiet book comes to us from Heidi of The Texas Wilcoxsons. Her very cute quiet book was made with a group of friends: ten of them got together, each chose a page they'd like to make, and then made enough copies of that page for everyone. It sounds very efficient and like it could really work for a group of friends that would like to do a project together. I love a lot of the ideas that they used. To list them all, they made: a barn page with farm animal finger puppets, a counting page with a pond and ducks, a cookie monster page with a cookie jar, a car page, a grocery store page with food and a grocery bag, a puzzle page, an ice cream page, a flower counting page, an art pallet colors page, an ocean and fishing page, a Mr. and Mrs. Potato Head page, a seasons tree page, a counting bead page, and a matching socks/laundry page. So take a look at all these cute quiet book pages they put together! My son Caleb, who is 16 months old. I have since had another little boy and I imagine he will also use it. Virtually none. This was one of the first things I have sewn and probably the second or third time I have used my machine. It took me about 10 hours and it was spread over about three weeks. I actually did mine a little different then most people. I got a group of 10 friends and we each picked a page that we wanted to make. We then made 10 of those pages. Once everyone finished their pages they all sent them to me and I organized and mailed out everyone their 10 pages. It was a little extra work and money just getting all the pages mailed out to everyone but it was really fun because 1. 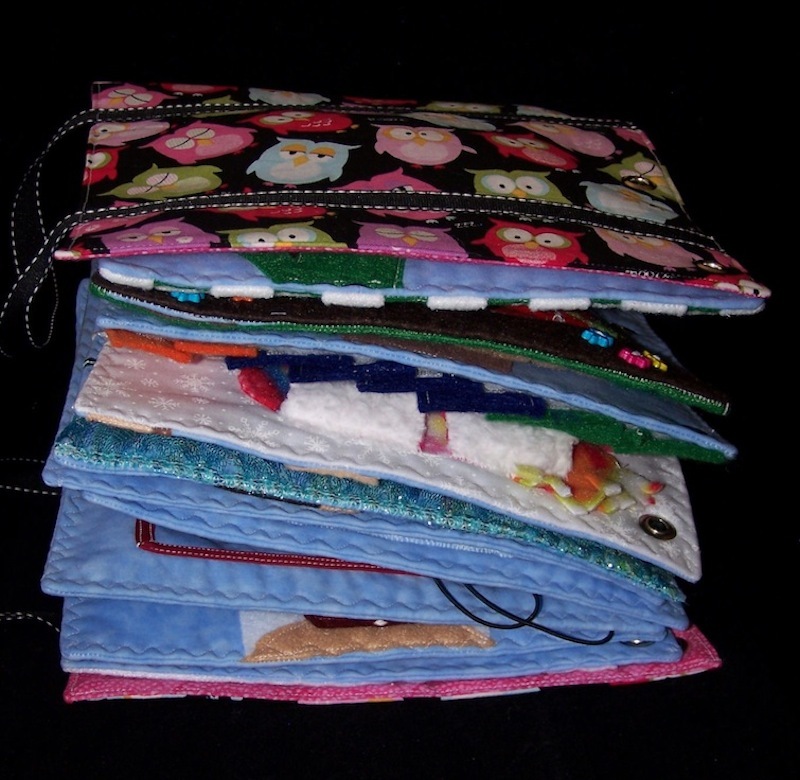 It is pretty easy to make 10 of the same thing and time saving when you only have to make one pattern and 2. It was really fun because everyone did their pages so different and they put their own style on it. I really had a lot of fun getting all the pages and seeing how different everyone did things. I didn't use any templates. I looked at a few other blogs and just cut out my own based on their pictures. 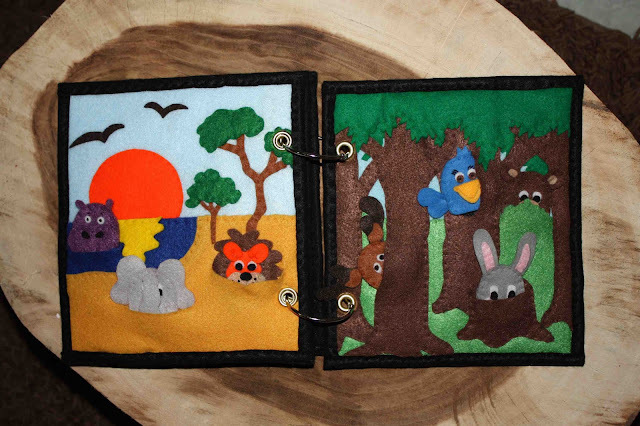 The pages are made out of felt. I actually only used felt. I actually have two favorite pages. The first is the laundry page (I didn't make this one). You take the socks out of the washing machine and then find their match on the corresponding page. I think this page is so much fun and I love all the colors. This page was also really well made so I know it is going to last. 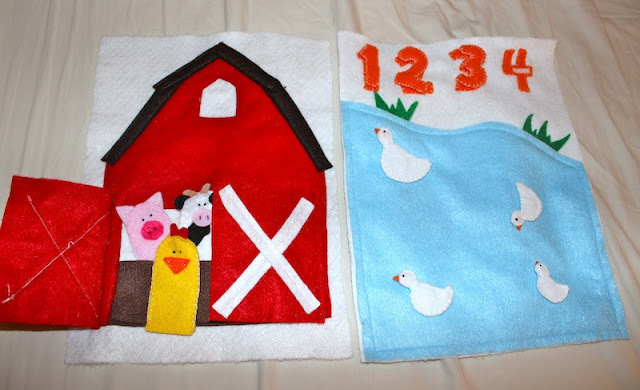 My other favorite is the farm page. 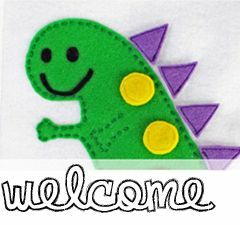 I think this one is so fun because their are finger puppets and my son loves to put his tiny fingers in these puppets. 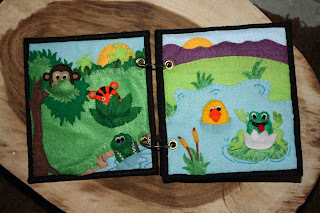 To see Heidi's original quiet book post (with more pictures) on her blog, click here. Thank you Heidi, for sharing your awesome quiet book with us!